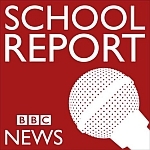 On 10 March 2016 students from this school made the news for real as they took part in BBC News School Report. Tom & Nathan discuss the changes to GCSE subjects. We report on the opera event Glyndebourne and interview some students who took part. Tom & Nathan speak to the head of PE about Sport Relief. Tom and Sam interview one of our English teachers Mr Atherall about a recent visit to Brighton and Hove football club. Nathan and Tom speak to organisers and contestants of HCC’s cook off! It’s been a long day in the newsroom and we’ve spent a lot of time and effort making this the best possible. It was great talking to Maddie and Jenny McLachlan and thanks to Joe Marler as well for his support. Thanks to our teachers and reporters and obviously the BBC for the support. We have spoken about lots of different issues from our new Post Office to the gap in Women’s Pay. Thank you for a great day. Becky interviews a student from Heathfield Community College who’s stared in various CBBC shows and asks about her up and coming short film Crash. Published author Jenny McLachlan talks to us about her newest book Star Struck and her journey to becoming an author. After a long wait and masses of rumours, it has been confirmed that a new Post Office will be opening on Heathfield High Street. The mysterious closing of the Post Office on 1st April last year caused much distress among Heathfield’s residents as they had to go to Broad Oak or Horam to use the Post Office. Now, we can report that a new Post Office will open in Unique Wine, an off-license in New Parade, Heathfield. Now while some may say that a shop previously specifically selling wine is perhaps an unsuitable location for a Post Office, it is also one of the only locations found and I’m sure many will agree that the need for a Post Office in Heathfield is massive. The Post Office opens the same hours as the shop, Monday to Saturday, 9:00 – 21:00. It is also part of a Post Office drive to improve working hours and modernisation. This Post Office will apparently open on the 12th of May this year and I’m sure that many residents will count down the hours. Before it opens, the shop will be extended and this is taking longer than hoped which is why the expected opening date of February this year has been changed! 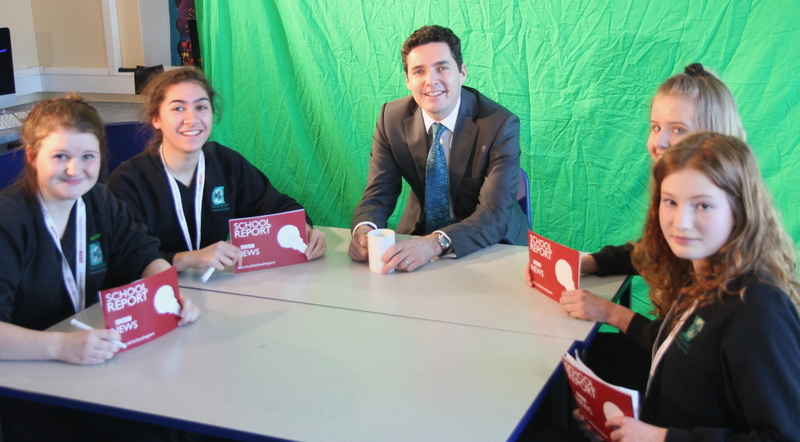 HCC students interview Huw Merriman MP for BBC School News Report. Full video package is now available below. Below is a report about World Book Day and a practise Radio Broadcast recorded by our Sports Team last week. and a practise Radio Broadcast recorded by our Sports Team last week.